140XL037 Timing Belt - 14 inch, 70 teeth - Browning 140xl-037, Goodyear 140XL037, Grainger 2L564, Grainger 1DHH9, McMaster-Carr 1679K126. 140XL037 Bando Synchrolink Timing Belt. Specs: 70 Teeth, 14" Pitch Length. 3/8" Wide. Timing Gear belt used in Sanders, power tools, robotic equipment, water pumps, machine belt, and vintage game controllers (steering wheel). Polyurethane 140XL037-UG Timing Belt. 14.0� Length, 75 teeth, 3/8� Wide. 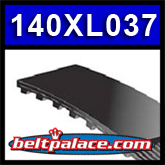 Polyurethane TBT XL 140XL-037-UG Timing belt 140XL-037-UG. 142XL037 Belt. PREMIUM KEVLAR/ARAMID REINFORCED TIMING BELT. 14.2� Length OC (361mm). 71 teeth. 3/8� (.375 inch) wide. 1/5� (.200�) Tooth Pitch. 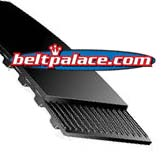 Replacement �XL Series� Timing Belt.